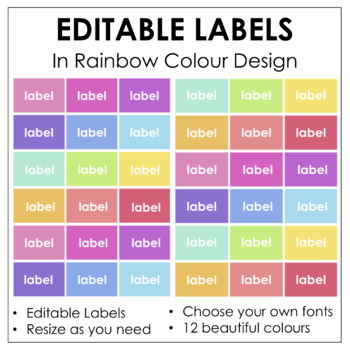 Completely editable labels in a beautiful rainbow design. Use for any number of things in your classroom and for all your organisational needs! I hope that you enjoy this freebie. Be sure to check out the other items in my store!